In defense of Donald Trump - July 2016. In which I identified the cause of the crisis, but assumed we’d dodge the bullet and HRC would tend to the crisis of the white working class. Trumpism: a transition function to the world of mass disability - Aug 2016. “How does a culture transition from memes of independence and southern Christian-capitalist marketarianism to a world where government deeply biases the economy towards low-education employment?" 65% the collapse of the white non-college “working class” — as best measured by fentanyl deaths and non-college household income over the past 40 years. Driven by globalization and IT both separately and synergistically including remonopolization (megacorp). This is going to get worse. 15% the way peculiarities of the American constitution empower rural states and rural regions that are most impacted by the collapse of the white working class due to demographics and out-migration of the educated. This is why the crisis is worse here than in Canada. This will continue. 15% the long fall of patriarchy. This will continue for a time, but eventually it hits the ground. Another 20 years for the US? 5% Rupert Murdoch. Seriously. In the US Fox and the WSJ, but also his media in Australia and the UK. When historians make their list of villains of the 21st century he’ll be on there. He’s broken and dying now, but he’s still scary enough that his name is rarely mentioned by anyone of consequence. 1% Facebook, social media, Putin and the like. This will get better. That 1% for Facebook et all is pretty small — but the election of 2016 was on the knife’s edge. That 1% was historically important. Rupert Murdoch will finally die, though his malignant empire will grind on for a time. Patriarchy can’t fall forever, eventually that process is done. We now understand the risks of Facebook and its like and those will be managed. So there’s hope. But the crisis of the white non-college will continue and our constitution will continue to amplify that bloc’s political power in rural areas. Even if civilization wins in 2020 the crisis of 2016 will continue. It will test human societies for decades to come. In 2018 I met one of my two CrossFit Life Goals (tm) - 10 consecutive dubs (hit 42 in a wild fluke the other day). Only took me five times as long as anyone else I know. I’m putting my training notes and references on this page. Tips For Getting Your First Bar Muscle Up! 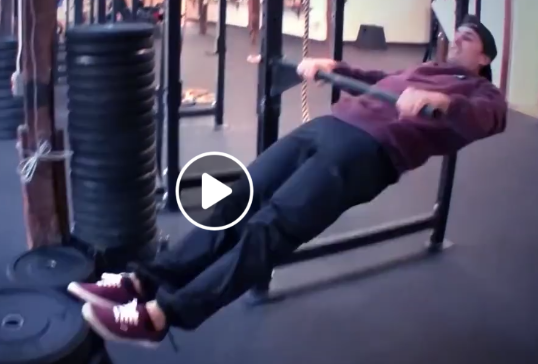 Use gym machine with pulley’s ropes to emulate the curious straight arm downward push-pull (see still below). I don’t have the bar Paoli is using, but I can rotate rings and use those in place of the bar. 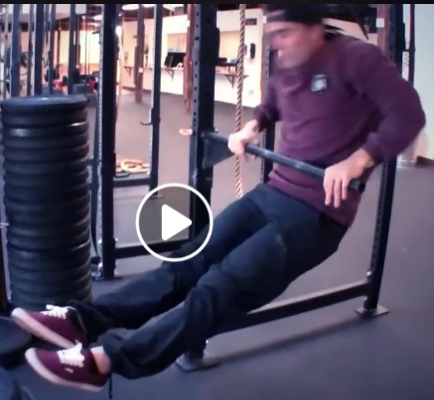 Hip-to-bar progression with a slight arm-pull, hip drive from the hollow (I can’t get my hips to the bar yet), note in this still from Paoli video his elbows are bent, but he’s mostly pushing the bar down towards his hips and lower abdomen. Feet are below hips. Trapezius muscle here. I have to figure out how to build something like this. and note he’s actually hitting bar around navel at this point (not hips), feet are still in front as he transitions. Well, not now exactly. My left biceps is strained, so I have to rehab that first. Old doctor pet peeve - disease descriptions were better in Osler's day. I didn’t know Sir William personally, but I think he’d be appalled by the descriptions of patient-disorders in our medical textbooks. We typically present a collection of findings, sometimes organized by ‘history’ or ‘physical’ or ‘lab’, but the sequencing and relationships are all lost. We should have textbooks that describe a disease or disorder with 3-8 case histories that span a reasonable spectrum of presentations. So not x% have red eyes and y% have chest ache, but a case called “common” that might be “8 yo both with cough, then red eyes for day and a swollen lymph node, then a day later some red palms …” and another case called “often”, and 2-3 called “unusual1”, “unusual2”, and so on. Ok, it’s not just my Oldness. I’ve been grumpy about this for roughly 25 years, even when I was only old in spirit. It annoys me a great deal. We’ve been using Quicken for Mac for the past year. I’m satisfied with the software, but I no longer trust their pricing and renewal. We paid $60 for Quicken for Mac 2015 on 7/31/2015. On 1/8/2017 we paid $48.41, presumably for 1 year of subscription service. On 12/31/2017 we paid $32.35; we probably switched from a “deluxe” plan to a basic plan. Your Quicken membership will expire on 12/31/2018. In order to continue enjoying all of the benefits of Quicken, including connected services such as bank downloads, stock price updates, account sync, and free phone support, please click here to renew your plan. The link goes, however, to Quicken for Windows where we are shown as “deluxe” plan for $50. Ok, so that’s presumably a mistake — albeit a bad mistake. When I go to https://www.quicken.com/mac/compare I can see the Mac plans - Starter at $35 (so probably a 15% price hike from last year) and “most popular” Deluxe for $50. I can’t compare to last year but it looks like most of the features added in the past year or so require the “deluxe” option now. Which leads me to reconsider my previously relatively positive attitude towards software subscriptions. I’ve been generally in favor of subscription pricing for software. I think Microsoft has done a great job with Office 365. It does, however, come with temptations for vendors. Subscription pricing makes it too easy to hide price increases and game features. It promotes “information asymmetry”. I think Quicken has fallen for that trap. I don’t trust them now.